Kim Kardashian’s make-up artist Mario Dedivanovic has revealed his trick for applying false eyelashes… and it makes total sense. We'll definitely be trying this one. Applying eye lashes is something we have spent many hours doing just to have to throw them out in frustration and want to go all nutaral. Luckily for us we have Kim Kardashian's make-up artist Mario Dedivanovic who has revealed his go to trick for false eye lash application and it makes so much sense. "When you’re learning to apply them on yourself, especially if you don’t have a steady hand, rest your elbow on some surface in front of you, like a desk," Mario told People. "It makes a world of a difference." It sounds obvious, but when you're stood in the bathroom, or sat crossed-legged in front of the bedroom mirror, it's easy to forget how handy a flat surface could be. He has been Kim's make-up artist for 10 years and also let us know that his favorite lashes are Ardell Individuals. This isn't the first time the famous and talented make-up artist has shared his secrets. Last year he also shared that it's a good idea to curl your lashes before reaching for mascara. He also recommended investing in a powder puff instead of a brush. "Powder applied with a powder puff instead of a brush lasts longer and means you can really work it into areas you just can't with a brush, like the creases around your nose," he explained. "Also, on some people's skin the bristles of a brush mess up the make-up." Mario also recommended applying highlighter just above the eyebrows and adding blush to the edge of your cheekbones to "counteract" dark circles. These products are not only affordable but are loved by Kimmy K herself. Kim Kardashian is totally like you and me. Sure, she might make $10 million in three days and yeah she has her own high-end beauty brand, but believe it or not, she is a fan of some good old drugstore makeup products like us mere mortals. We all know Kim loves her high-end products like La Mer and Chanel, but every girl has her Holy Grail drugstore products, even the Kween Kardashian. Therefore, when she revealed the products that have been tried and tested by herself, of course, we wanted to know every juicy detail. We can't all be genetically blessed with ridiculously long lashes, but luckily we now know Kim's trick for those wispy looking eyelashes. The L'Oréal Voluminous Mascara Carbon Black enhances each and every lash in a black coat separating each lash for a very long and wispy look. Blush hasn't always been a super popular product, but the Kardashians love it. This affordable product gives a subtle luminous glow to your cheeks that makes your makeup look incredibly healthy and radiant. An all in one palette with a highlighter, blush and bronzer that gives skin a healthy radiance. Can be used alone for a radiant look or blend them together for an overall bronzed look. Ombre palette contains smooth and silky lightweight powder that blends effortlessly so g Kim can keep her signature bronze goddess look that we all envy. 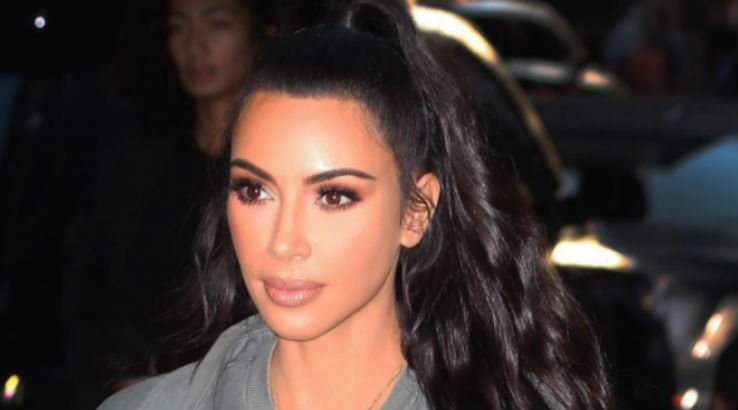 Obviously Kim can't rock a fat pair of false lashes every day, but sometimes you want a little something extra and when you're in the spotlight so much, we totally get it. 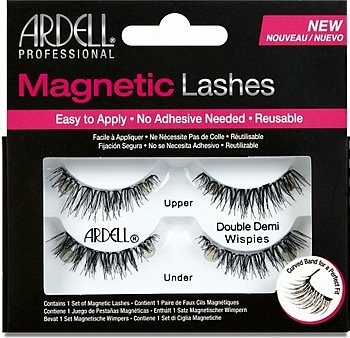 The Ardell individual lashes are perfect to add something a little more subtle to your lashes without going over the top. Individual lashes now come with thicker lash volume. 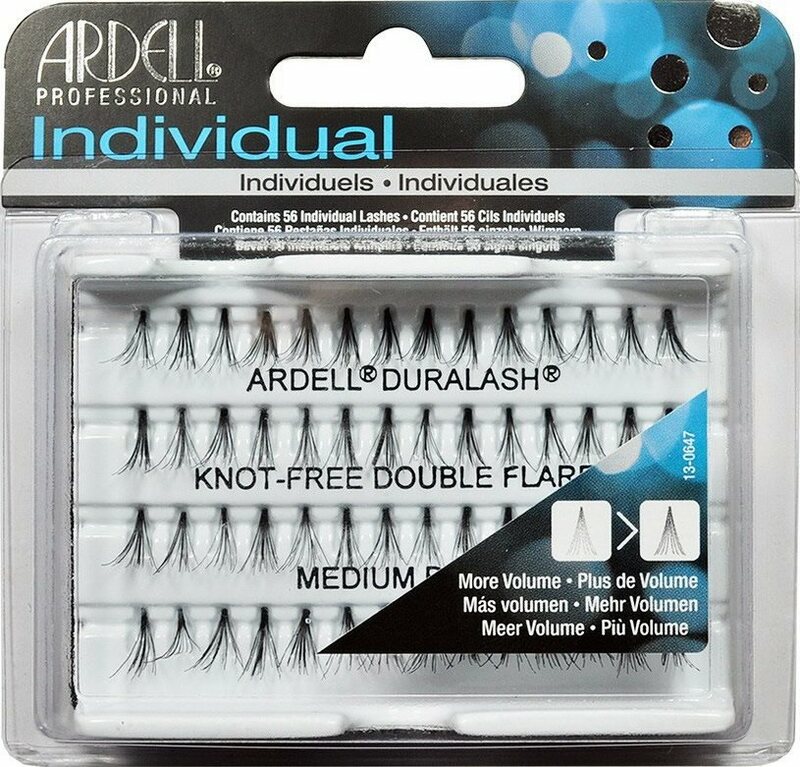 With 60% more lash strands as the regular individual lashes, Ardell Double Individuals allows you to customise what you want your lashes to look like in half the time and we love that. 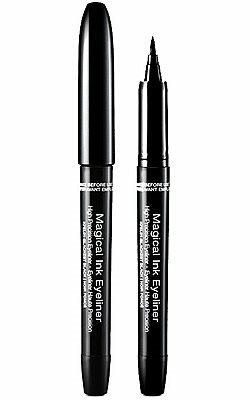 They can be applied evenly in between your lashes to boost fullness all around, targeted in sparse areas if you're trying to fill those in, or added to the outer ends of your lashes for a wide-eyed effect — customization is key with these. As we said before, our girl Kimmy K loves to rock a bronze goddess look and we can't blame her – she nails it. In order to get that glowing to the heavens look on her lids, Kim turns to L'Oréal. This colour is the perfect toned bronze that is not too much and not too little for a makeup look. In addition to her natural everyday looks, Kim loves a sultry smokey eye and so do we! The Kiss New York Professional liquid eye liner glides perfectly on your eyelid and lash line. Not only does it look fabulous and it is easy to apply with innovative brush tip for an effortless, precise application. This ﬂexible brush tip leyeiner also stays throughout the day (16 hours to be precise) so you don't have to waste time reapplying. No wonder Kim loves it. This bad boy has been described as a miracle in a bottle – no joke. 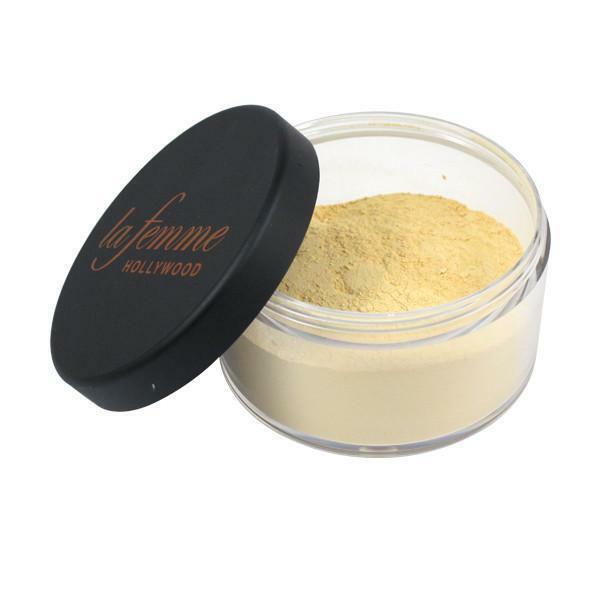 La Femme Loose BANANA Powder has a velvety textured, color fast, face powder, that is color keyed to harmonize. Perfect for a matte finish to last all day. It works for all types of skin tones and leaves a luminous glow behind. Now we totally get why Kim K looks radiant all the time.